As you may know I don’t generally review books on here. In fact I question the value of all reviews, our tastes in all manner of things being so different. But I do want to briefly recommend something extraordinary that I’ve just finished reading, so here goes. 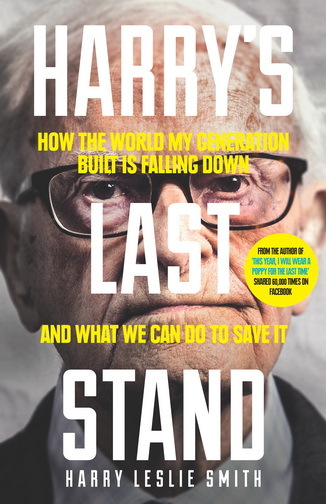 ‘Harry’s Last Stand’ is a 91 year old man’s testament about growing up in the great depression of the 1920s and 30s, fighting Nazism in the Second World War, and finally creating a green and pleasant land in Britain with the NHS and the social welfare safety net in the 1940s and beyond. And how that all began to be unravelled from the 1980s onwards. 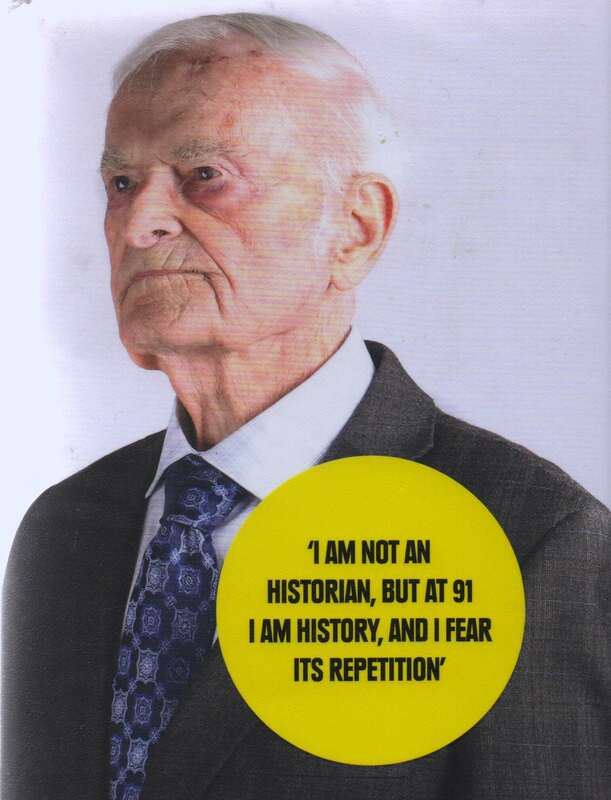 Harry Leslie Smith talks graphically about the miseries of growing up in grinding poverty and how he sees the same politics of division and blame being used now. So the book then sets out his thoughts about what we should do to get our society out of the hole its been put into. By a more honest system of taxation that even the big corporates pay into. That will allow us to build the decent housing our growing generations now need and protect the social welfare system that did so much to regenerate the nation after the depression and the wars of the 20th century. And how we might get more people out of food banks and apathy and engaged in a democracy that is relevant to us, rather than to the class of career politicians of left and right content to appease the oligarchs of the corporate world in the way their predecessors of the thirties appeased Hitler. It’s strong stuff, forthrightly said and ended up making me think we might all yet be able to co-operate our way through to a better world for all of us. So thank you Harry for writing your short but heartfelt book. This is my small contribution to encouraging as many people as possible to read it. And then, as you say, do something more to engage with the things you suggest than just ‘Like’ the book or ‘Favourite’ it on Facebook or Twitter. 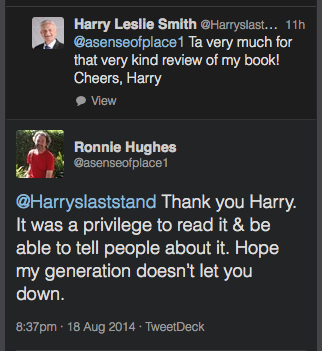 You can buy ‘Harry’s Last Stand’ here and also see a short film of Harry talking about his book. My copy, as you might expect, came from Liverpool City Council libraries and will soon be going back there. I read two articles of his in The Guardian – well argued and well written….and if we don’t learn to co operate rather than to compete in a rigged market we’ll be back to the slavery of the pre trade union days….with a White Terror worse than that of Britain in the period of the French Revolutionary period surveilling our every movement for signs of non compliance with our lot. You’ll enjoy his book then Helen when you get hold of it. A privilege to read an overview of a whole century’s personal experience of when we got it right and when the forces of evil, and let’s call it that, began to give in to greed over co-operation. Uncomfortable at times, because not all of the greed, appeasement and incompetence is in the expected places. Commenting on my own post? Well yes. Beyond chuffed to get this message from Harry. Don’t know if it’s published in the US Mitch, but I’m sure you could buy an English edition at the link on the post.